Today I have one of Picture Polish Blogger Collaboration shade which launched back in February. 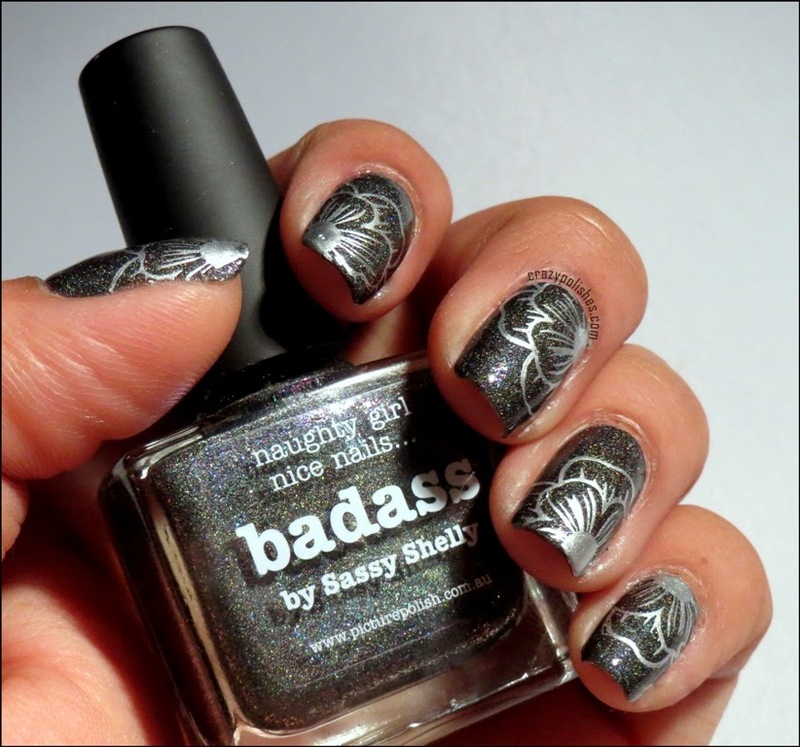 Badass is black holographic polish having scattered and subtle linear holo pigment. It also has multicolor micro flakes. 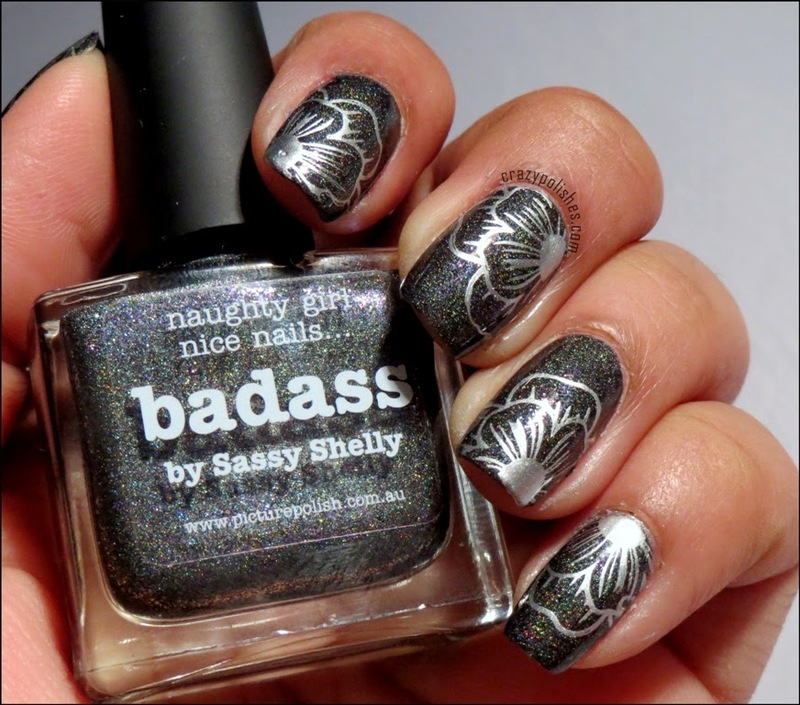 You can read more about it at Sassy Shelly who is the blogger behind this collaboration shade. Formula of Badass is awesome.Unlike other holographic polishes it is one coater(though i used two coats) and doesn't leave bald patches. 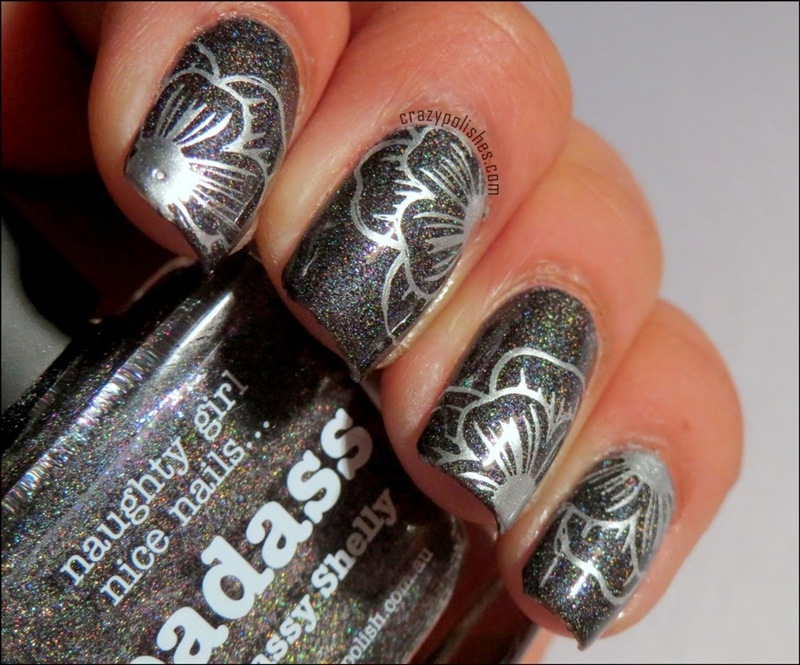 I stamped the base with Winstonia W04 using barry m silver foil. 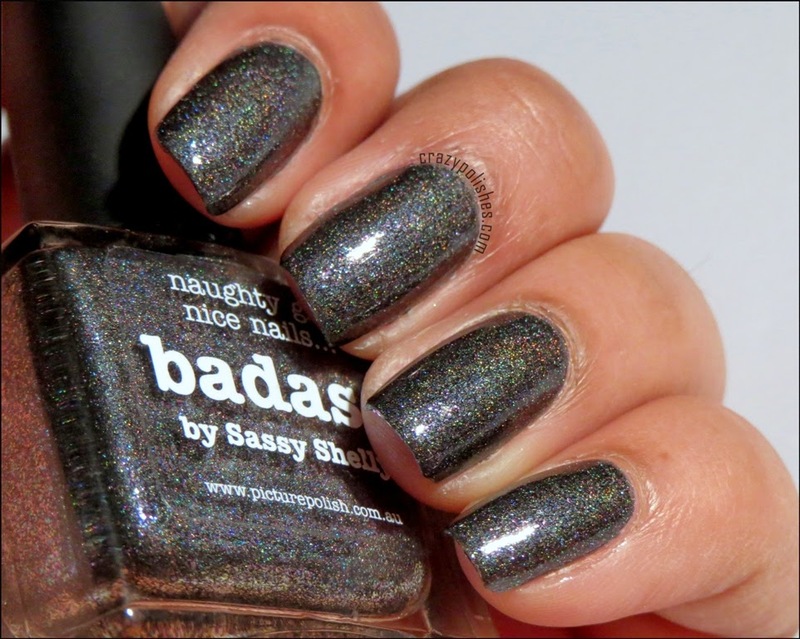 You can buy Badass from piCture pOlish website, along with at their network of etailers all over the world like Sally Magpies, Rainbow Connection(for UK) and Llarowe, Harlow & Co(worldwide). For a full list of etailers all over the world check out the piCture pOlish website here.